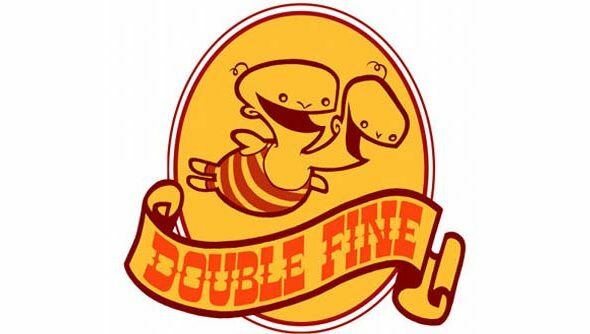 The Double Fine Humble Bundle – which sees the internet pick four project ideas from the Double Fine team to be prototyped over the next two weeks -has closed, the votes cast and the projects picked. Now the prototyping phase begins. The next 14 days, titled Amnesia Fortnight, are going to be spent rapidly designing, coding, art-ing, and throwing away-ing; then the results will be handed away to anyone who dropped funds in the past week. All the picked projects sound a little wonderful (I lean towards Spacebase, mainly because emergent games set inspace bring with them the possibilities of explosive decompression). Although you can no longer buy into the bundle, you can watch the live stream set up in the studio to see the games being made. I spotted this over onRPS. Full disclosure: I threw money at the screen as soon as the possiblity of prototype Double Fine games was shouted at me loud enough. If you think that makes me corrupt you may be right. Therefore discount any words above that you may read as emotion-packed and filter out just the cold hard facts. Also, try and send me money in the post. Just write ‘For the wallet of Julian Benson’ on the note and the Royal Mail know where to send it, they’ve delivered bribes to me enough times by now.